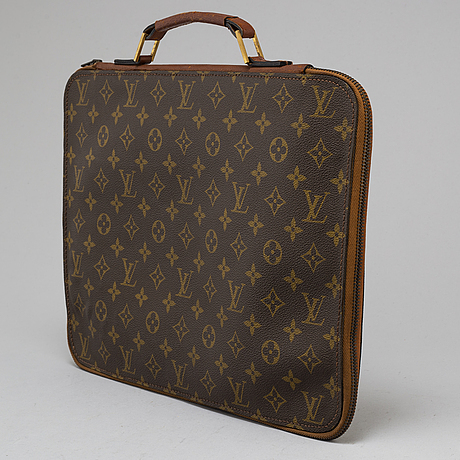 LOUIS VUITTON, portfolio "Poche Documents Poignée", tillverkad av "The French Company" 1970-tal. Monogramcanvas med detaljer i läder. Top-handle handtag. Detaljer av mässing. Invändigt två fack. 38 x 29 cm. In the 1970's Louis Vuitton developed a relationship with a US Luggage Maker- The French Luggage Company. 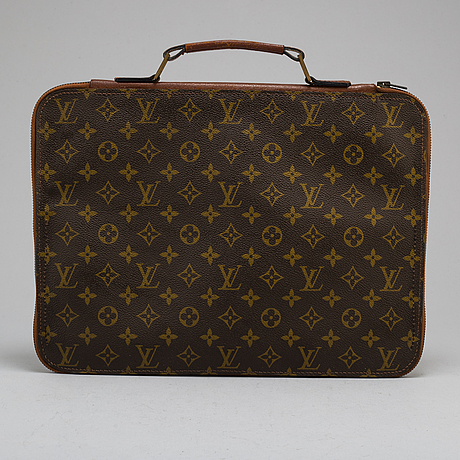 During a period from around 1976 through 1991, The French Company manufactured bags under a special license from Louis Vuitton. 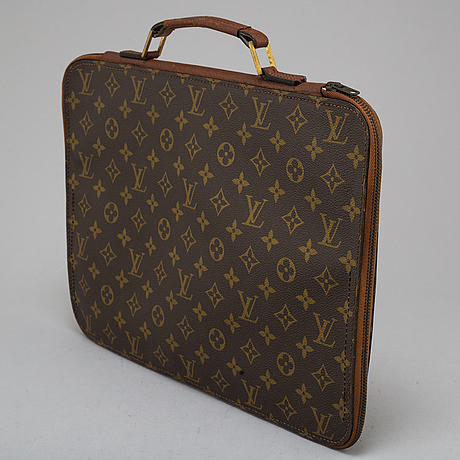 These items were made in the United States, and were also sold in the United States. They have no date codes and the labeling vary. Slitage. Lagningar (extra sömmar vid fickor).